I am not an optimist, sadly. I wish this was not the case. Even with this accord, the core of the problem remains — state-building. Peace cannot be achieved without the rule of law, and the authorities of the Colombian government do not have the capacity to penetrate and maintain presence in the most isolated regions of the country. There are an ample number of illegal groups aching to occupy what was traditionally FARC territory in the departments of Putumayo, Chocó, Cauca, Nariño, and beyond. A headteacher at a school, built by the FARC in the hamlet of Las Damas, Caqueta, told the Guardian: “.. for as long as I can remember, Las Damas has lived outside the state; peace will bring the state to this place for the first time, and for the first time, Las Damas will feel like part of Colombia.” Will it? In July 2016, my countrymen celebrated the accord with festivities punctuated by fireworks and toasts with aguardiente. Today, the final accord will be signed in Cartagena and I imagine the greater magnitude of this bash. “Peace! Peace!” will be the drunken slurs shouted from the balconies of colonial Cartagena. Coca cultivation rose by 39 percent in 2015 to 96,084 hectares, according to the United Nations Office on Drugs and Crime, more than double the nadir of 47,788 hectares registered in 2012. The FARC may disarm, but it will leave a vacuum for other illegal groups to take over the production and distribution of drugs — which middle-ranked members of the FARC are likely to seize on as an opportunity. 2. The FARC Splinter Groups. In July 2016, a faction of the FARC’s First Front, also known as the “Armando Ríos” Front in the southeastern jungles, said it would refuse to lay down its arms. And more recently, in September 2016, at least 40 members of the FARC’s First Front again declared themselves opposed to the peace process and are attempting to establish a presence in Yaigojé Apaporis national park near the border with Brazil. Further, academics believe some FARC members will “officially demobilize,” but continue their operations in Venezuela. Many have already moved their properties and families to the Venezuelan side of the border. Not so long ago, dozens of middle managers of the demobilized Autodefensas Unidas de Colombia took advantage of the power vacuum to continue committing crimes — drug trafficking, extortion, even human smuggling — resulting from their accumulated experience, according to Eduardo Pizarro, founder and researcher at the Institute of Political Studies and International Relations (IEPRI) of the National University of Colombia and President of the Victims Reparation Commission. These drug gangs are now present in 339 municipalities where they exercise territorial control, co-opt local authorities, and build up their connections with international organized crime gangs, according to Sergio de Zubiría, from the University of Los Andes. The neo-paramilitary groups are made up of 5,000 to 6,000 members; and their actions lead to 300,000 people displaced annually. Over the years, they have worked side-by-side with FARC. Human rights groups have warned that BACRIM have become the main source of human rights abuses. Regional power players who are opposed to a peace deal with guerrillas may hire them as private armies to oppose attempts to return stolen land to victims and oppose the future participation of demobilized FARC in politics. The main neo-paramilitary group is the Úsuga clan, also known as Urabeños, or Gaitanist Self-Defense Forces of Colombia, or Clan del Golfo. They use Uraba and Chocó region, with coastlines on both the Pacific and Atlantic Ocean, as corridors to move drugs from Putumayo, Valle del Cauca region, and the interior of the country. The leaders of the “Gaitanists” are “Otoniel” and “Marcos Gavilan,” men who have forged their careers over three decades fighting in various groups, including the EPL guerillas. See: FARC’s ten-year-old errand boy grows up to become its most cold-blooded. Though perceived as a minor guerrilla force, made up of up to 3,000 members, the ELN also acts like the FARC. However, the ELN’s decision-making is more horizontal — “democratic” in elena (from ELN) terminology –- than the FARC’s. They tended to disagree with the elitist character of the negotiations in Havana, where select negotiators have taken decisions affecting the whole country. For this reason, the ELN may absorb FARC members who are hard-core Marxists and hence disenchanted with the accords. In recent years, Mexican drug trafficking organizations have sought out alliances with the FARC to purchase coca paste, the raw material for cocaine, at the source, and so control the entire chain of distribution and a greater sum of its profits. In December 2015, a computer confiscated from the FARC’s Southern Bloc commander Jose Benito Cabrera, alias ‘Fabian Ramirez,’ reportedly contained information speaking of the business alliance with the Mexicans. Mexico’s Sinaloa Cartel controls 35% of the cocaine exported from Colombia, reported El Tiempo in July 2015. Sinaloa’s second-in-command, Ismael “El Mayo” Zambada, reportedly directs the cartel’s Colombian business dealings through two Mexicans based in the country, “Jairo Ortiz” and “Montiel” — both aliases. There was a manhunt for three middle-men allegedly working for Sinaloa Cartel leader alias Joaquin Guzman Loera, alias ‘El Chapo,’ in Colombia. The Sinaloa has operatives in at least 17 Mexican states and operations in up to 50 countries, including Peru Ecuador, and Costa Rica. The FARC were also associates of the now-splintered Tijuana and Juarez Cartels. The FARC and the Sinaloa Cartel worked together in the illegal exploitation of coltan in Colombia, according to Insight Crime. Coltan is a mineral from which tantalum is extracted, and is used in the creation of electronics such as cell phones and computer parts. There will be little to prevent the Sinaloa Cartel from controlling the illegal mining. See: Phase II: Unregulated mining and logging create new conflicts and displace more people. and Chocó: forced recruitment, illegal gold mining, cocaine industry. 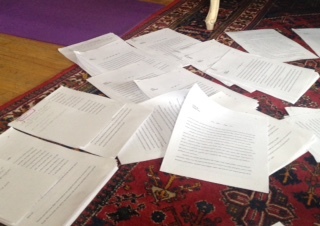 I am buried in a re-write. You will find my nose in this pile. While Caitlyn Jenner graces the cover of Vanity Fair and the world speaks of her beauty, Alondra Metaute, a 38-year-old transgender Colombian woman, is running for mayor of Sopetrán, a small town in Antioquia in north central Colombia. She inherited a desire to enter politics from her dad. She is a candidate of the left-wing Alternative Democratic Pole, and she is the first transgender woman to have received political training from Politics for Women, an equal-opportunity initiative started by the regional government. If she wins the vote, she would be the first transgender mayor in Colombia. Here’s to waiting for the world to speak of Alondra’s politics. Today, May 27, marks the 51st anniversary of the FARC’s founding. The deputy prosecutor for the International Criminal Court, James Stewart, traveled to Colombia recently. Again, he highlighted that those responsible for heinous crimes need to be punished. Stewart said the ICC continues its “preliminary examination” of Colombia’s possible transitional justice. The ICC is the only judicial body with the power to intervene. Besides the crimes committed by the FARC (and now the ELN should they start peace negotiations), Stewart also expressed concern for the extrajudicial killings, known as false positives, committed by the military, and for the horrific sexual crimes committed by the paramilitaries. Likewise, Colombia’s Attorney General Alejandro Ordoñez said justice cannot be a staged farce but must respect the minimum international standards of justice. A loss of confidence for the future of the peace negotiations has surfaced from the fact that the Santos government has not yet expressed, even hinted, how transitional justice will be applied to the FARC, and possibly the ELN, as well as the paramilitaries and military involved in heinous crimes. According to Leonardo Goi, a researcher at Fundación Ideas Para la Paz, a risk of transitional justice is that it may be tilted in favor of the guerrillas: while the FARC militants would enjoy the benefits of transitional justice, the government’s army would not. But, Goi asks, how could the government ever justify a guerrilla militant being allowed to walk free upon repenting for his crimes, and a military official being kept for years in prison? And so peace talks appear to be at an impasse. 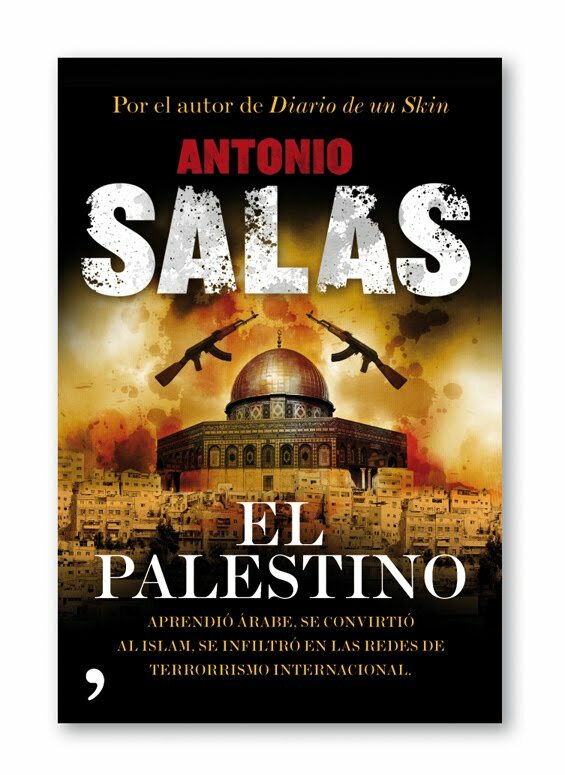 Antonio Salas has immersed himself as an under-cover investigative reporter many times. For six years, he trained to adopt the identity of “Muhammad Abdallah,” a Venezuelan man of Palestinian origin. During this time, Salas learned written and spoken Arabic. He studied the Quran, and memorized fragments of it which he wrote out in traditional calligraphy. He also underwent a circumcision and skin-darkening treatments, and grew a long beard. He gave up pork, smoking, and drinking. He took classes alongside anti-terrorist specialists and policemen. To test his new identity as “Muhammad Abdallah,” he traveled to Morocco, Jordan, Israel, and Palestine. In Ramallah, he learned the psychology of terrorists: the trauma and frustration many face, which is, in turn, harnessed by extremists. In Venezuela, he found the presence of ETA, FARC, Colombian paramilitary groups, Hamas, Al Qaeda, and clumps of Venezuela’s Bolivarian groups whose members converted to Islam. The result is a book and the video, embedded below, which was filmed while under-cover using a tiny hidden camera.